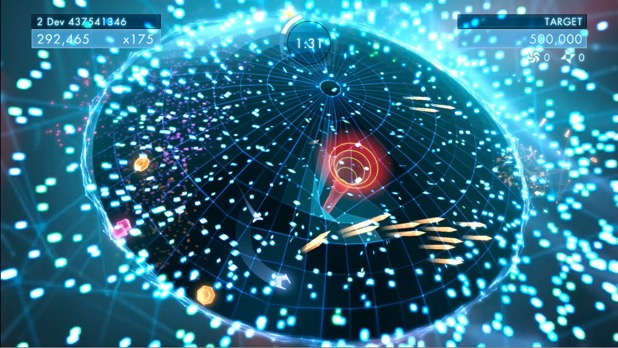 In many ways, Geometry Wars 2 was a perfect game. Just enough content, quick and responsive gameplay, loads of challenge, and enough replayability to last a lifetime. So I was more than a little confused when they announced that they were making a sequel and adding a campaign. It seemed like a game that didn’t necessarily need to be made, a decision based purely off of marketing and predicted sales numbers on a graph over any real push from fans. I bought it when it was released, but after a few quick levels, I put it down and promptly forgot about it completely. Two years later, I find myself back, and I’m baffled by the game itself. It is strange. They added layers where none were needed and it feels like every single level is too short, ending as soon as you start to get into the rhythm of the gameplay. I wanted more at one time, instead of being drip fed content while I replayed levels over and over so I could upgrade my ship. It still feels fantastic to play and the added depth of the “dimensions” gimmick was actually really cool because it forced you to think about each level in a different way. How will a cylinder versus a sphere versus a cube affect my movement, my bullets or my enemies? And trying to figure everything out on the fly, while dodging brightly colored shapes by a hair's breadth is frenetic and amazing. It looks gorgeous as hell, and the sound and feeling of weaving your ship in and out of pulsating explosions just works in a way that makes gameplay innately satisfying. 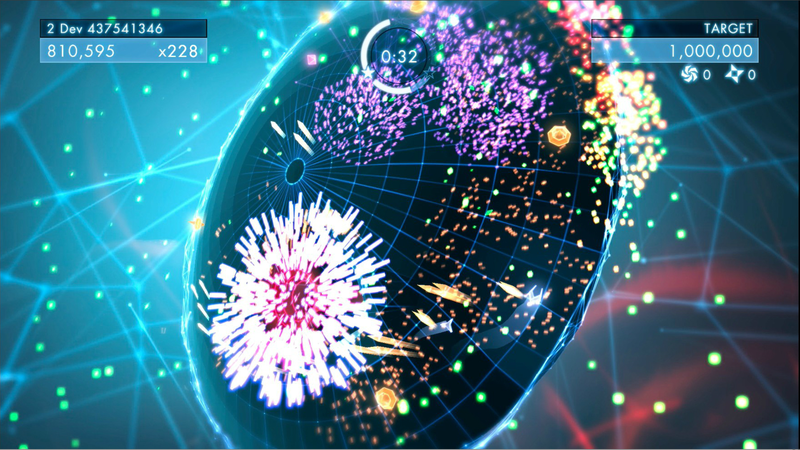 It is that feeling that Geometry Wars has always been able to nail in a way that few twin-stick shooters can. I just didn’t want to be artificially gated from doing more of that. While there are endless modes, the way Dimensions pushes the campaign at you is more than a little baffling. I used to love the days of crowding around a TV and passing around a controller to see who could get the farthest in Pacifism mode, but now, it feels like they just wanted to show off lots of pretty lights and cool explosions without any real depth. Instead of that pure and fun experience that I was expecting, it feels like a marketing checklist, a game designed by committee and focus testing to not be too hard or too much. It is a bite sized snack instead of a full meal, but thirty Oreos does not a steak make.